could not have been so well documented." 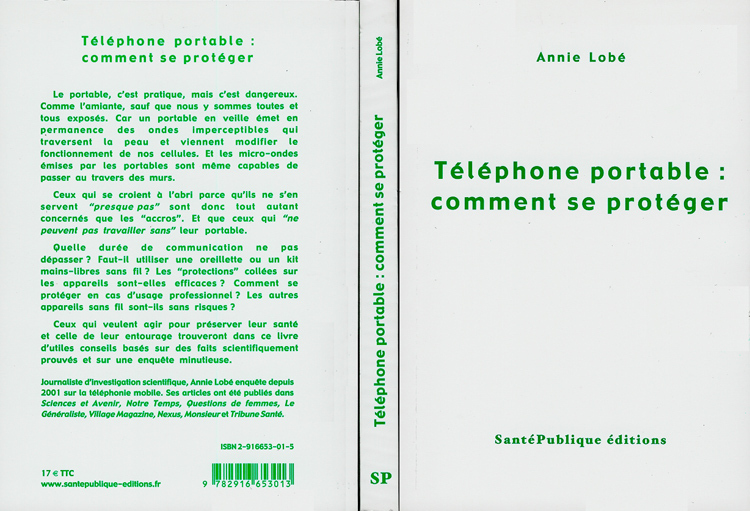 " les dossiers noir du portable "
a mobile phone for Christmas and New Year holidays ... more ! 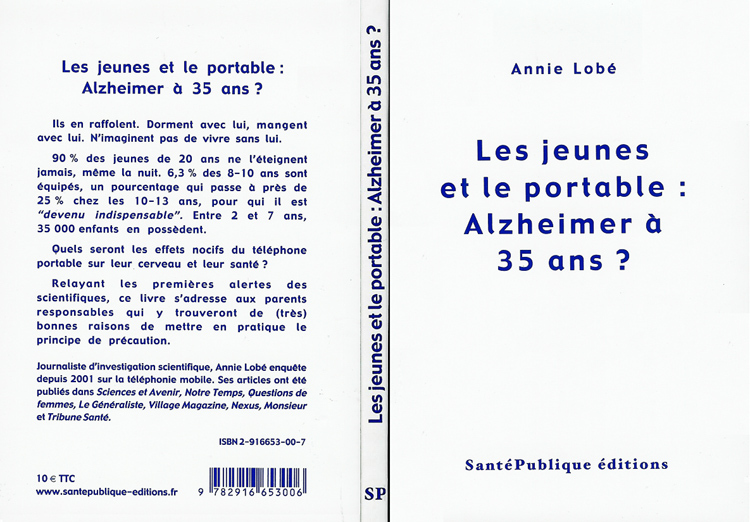 by letting know theses books you will inform the others about the mobile phone and relay antenna effects . It's not only for only for protection, but also for self protection. Then readers will change their view about mobile phone. Will you stay quiete when you know that the health of your children, of your parents, of your friends, of all of hose you meet each day is seriuosly at risk? Hundred of research studies have shown important health risks for users of mobile phone and residents near base station relay antennas. Since 2000, the first cancers cases became apparent particularly for children. Researchers and doctors warned the public and asked for the precautionary measures priciple enforcement but the public authority lags behind. - and also, well understand how all this works. Will the asbestos scandal be of no use ? 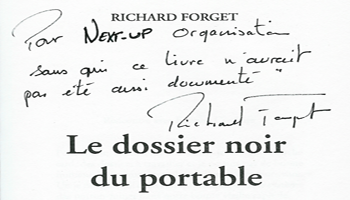 Autor : Richard Forget - Lawyer at Paris Court of justice. The statics : The Danish development of illnesses since the introduction of Mobile phones in 1994. There is an exact timetable between the introduction of growth in mobile phone users, and the illnesses which are blaimed on mobile phones, ie: Illnesses of the brain, nerve and metabolic system! The Danish population generally stop smoking and eat more fruit and vegetable and organic food. But still they get more sick. It started in 1994…… Families acquisition of Mobile phones. Recently using the approaches mentioned in my book, :”Would you put your head in a Microwave Oven” Henrik Eiriksson did an analysis of the Danish health statistics from 1994 to the present to see if there were any observable trends or relationships between the rise in the usage of microwave and the incidence of isease. The data was correlated with the levels of known toxins which are present in the environment. Of note with the data there was a negative correlation with the levels of pesticides, hydrocarbons and other environmental pollutants. The findings are highly suggestive of a direct relationship between the use of microwave radiation and the rising incidence of disease. These trends need to be discussed and amplified upon. The data is currently available to be able to plot out current trends against the rise in the incidence of the increased utilization of microwave based technologies. There is a tendency in the scientific community to do studies based on long term exposure looking at specific disease entities or outcomes. There is also a tendency on the part of the microwave community to do critiques on the biases of the studies. The conclusions of most of these studies will forestall the analysis of the health consequences which are currently going on. More important is the direct evidence which can be gleaned from the health directories of various countries. This will literally demonstrate the pulse of this epidemic as it evolves. The data is readily available to view cause and effect in real time, which this data is but a presentation of. Microwave radiation is known to have an immediate effect on the biology and physiology of the organism as well as long term effects. The concurrent analysis of the data makes it possible for governments to appropriately address the problems confronting their communities in a timely fashion. The data is readily available and simple to comprehend. There is a place for academic discussions, but this will do little to forestall the tragedy as it unfolds in front of us. I would generously encourage anyone to contribute to this evolving data base. I can be reached at glgmd32@hotmail.com. En tant que parents faites acte de responsabilité. 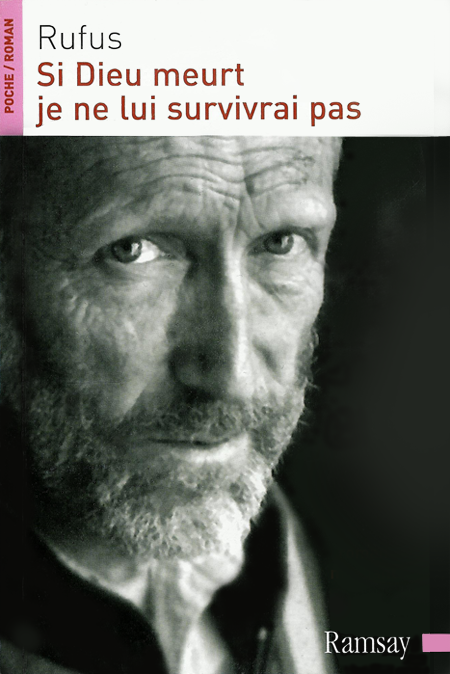 en faisant connaître ces livres, c’est protéger, mais aussi se protéger. 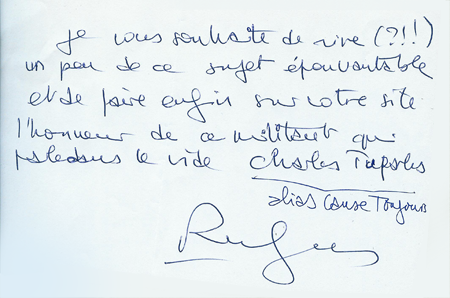 Les lecteurs changent leurs regards sur leurs portables. 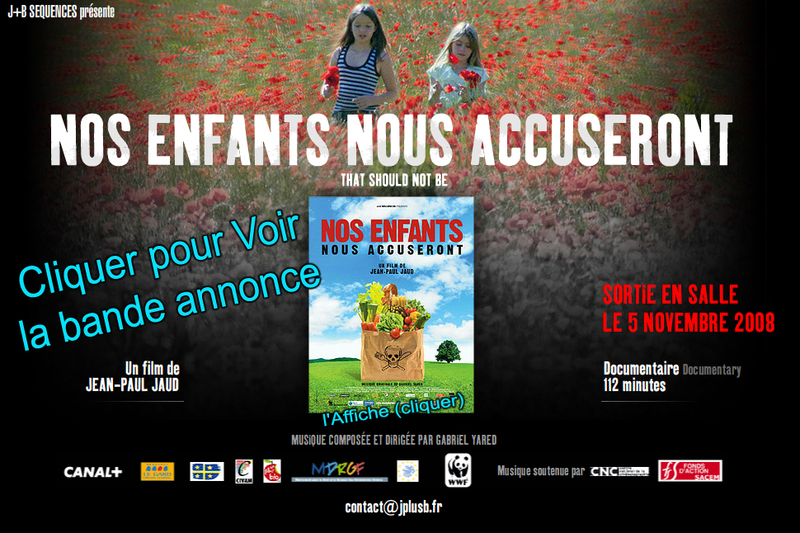 Next-up totalement désintéressé vous en recommande la lecture. 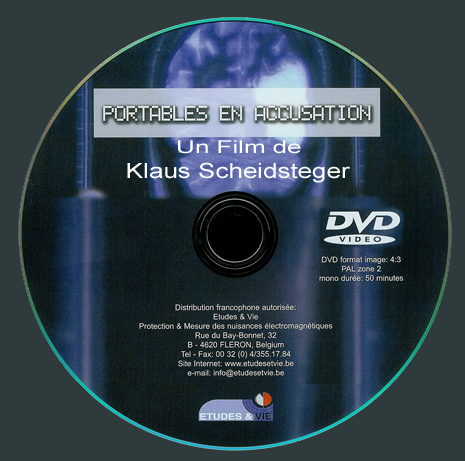 et "acteurs" d'en prendre connaissance . . .
qui reste trop souvent incrédule face aux problèmes causés par les antennes relais . .
jusqu’à ce qu’il soit lui aussi frappé par la maladie. Ces livres sont faciles à lire, y compris pour des non initiés, et se lisent rapidement. Bon de commandes "spécial fêtes"
Ces livres d'Annie Lobé sont disponibles chez l’éditeur.